They are Canadian, they are American. They play offence, they play defence, they play special teams. They are experienced, they are new to the league. 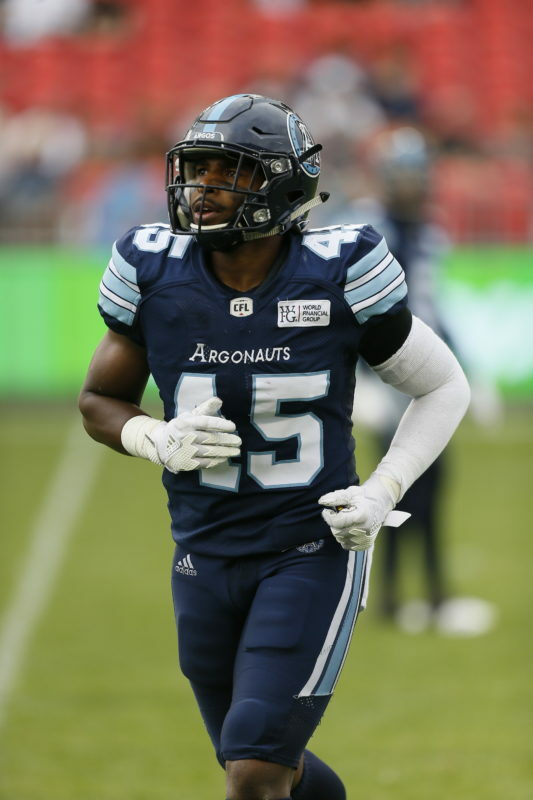 On Wednesday the Toronto Argonauts list of player award nominees was announced, as voted on by the Toronto chapter of the Football Reporters of Canada. The voters included Frank Zicarelli of the Toronto Sun, Chris O’Leary and Don Landry of CFL.ca, as well as Chris Schultz and your humble scribbler from the radio broadcast team. Head Coach Marc Trestman also had a vote. The nominees presented an interesting cross section of Argos. S.J. Green was the choice as the team’s Most Outstanding Player. 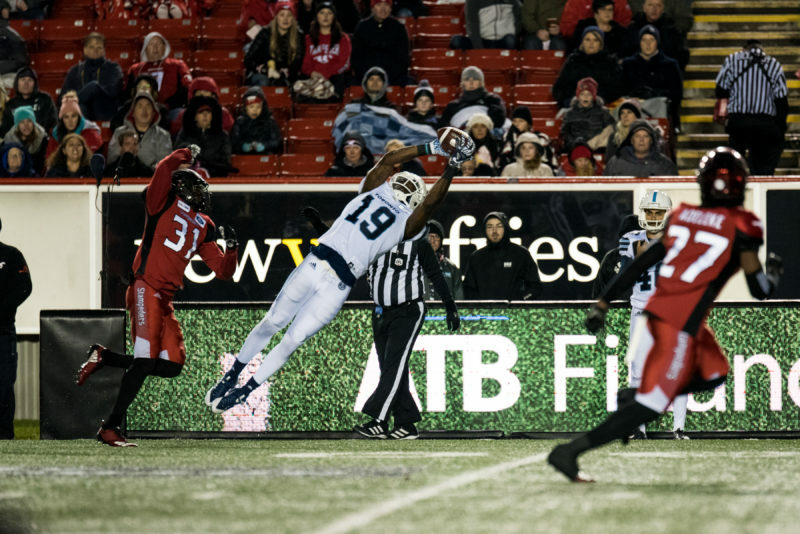 The receiver, in his 12th season in the league and second in Double Blue, will in likelihood surpass the 1,000-yard receiving mark this week in Ottawa. 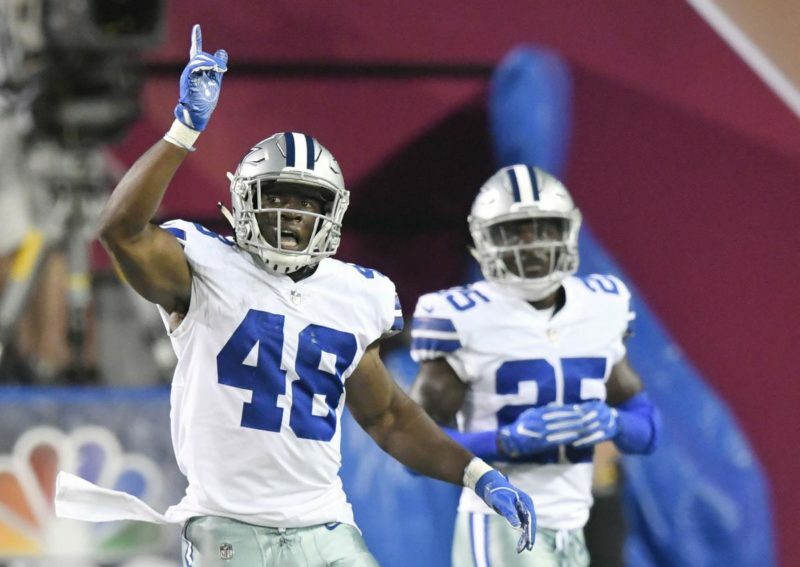 He’s been his usual reliable self on the field, while providing leadership in the locker room, something that’s especially needed during a disappointing season. He wasn’t aware of the honour when informed by Argonauts.ca that he had been named the team’s M.O.P. nominee. One of the things Green provided was his leadership. When dealing with the reality of a disappointing won-loss record, some would be tempted to hang their head or not give it 100 percent during games, or more likely, at practice. That’s something nobody can ever accuse Green of. 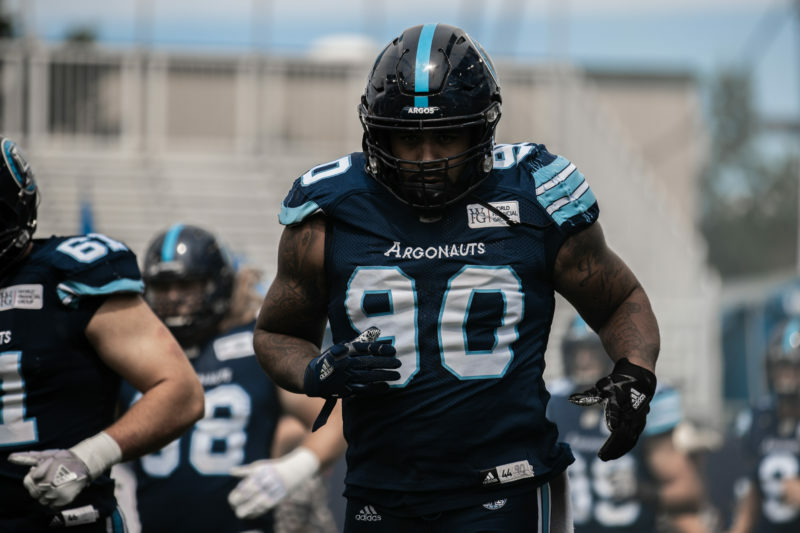 Argonauts.ca also had the pleasure of telling Trumaine Washington that he had been selected as the team’s nominee for Most Outstanding Rookie, a unanimous selection. Fresh out of the University of Louisville, the defensive back is ten years minus ten days younger that the M.O.P. nominee. 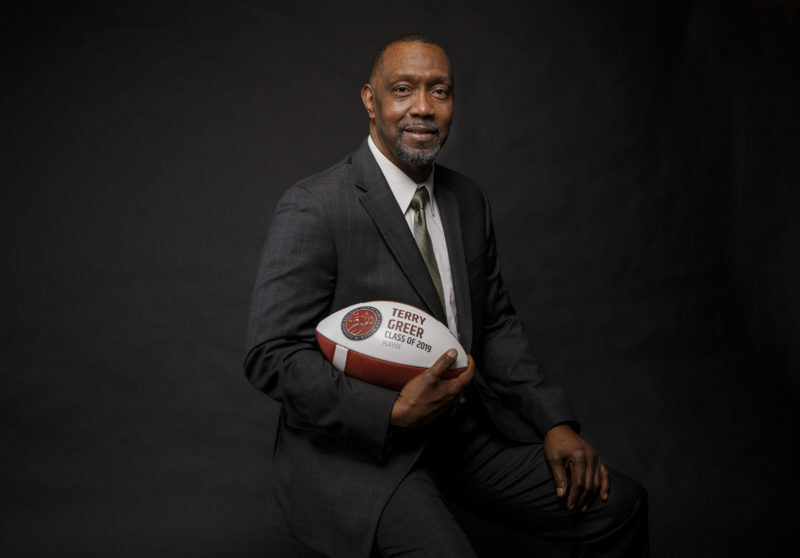 The transition from being one of the oldest players in the locker room to being one of the youngest was as much of a culture shock as moving to a new country and playing a different brand of football. Washington got his first taste of action as the strong side linebacker against Winnipeg on July 21st. He made an immediate impact, forcing a fumble that Jermaine Gabriel would return for a touchdown. It was part of a learning experience that Washington is eager to add to next year. Sean McEwen is another younger player who is getting used to collecting individual accolades. 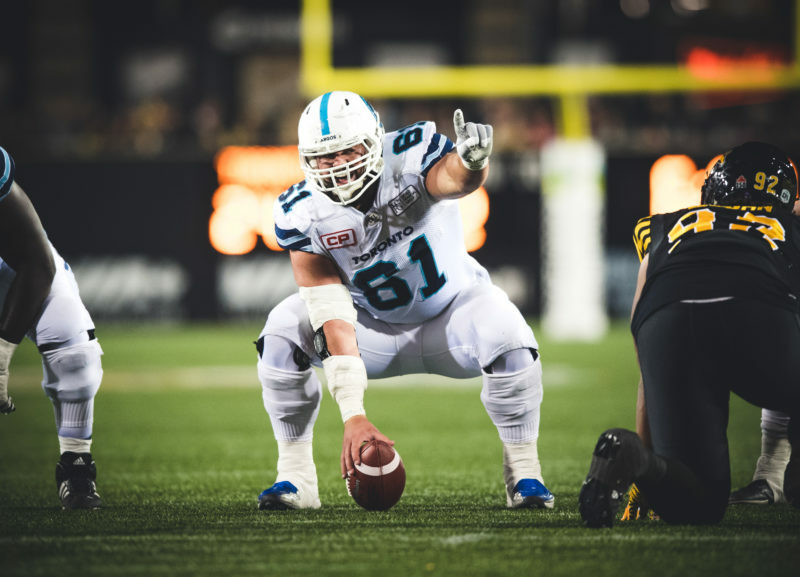 In 2016 he was named the Argos Most Outstanding Rookie, while last year he was named the team’s and East Division’s Most Outstanding Offensive Lineman as well as the CFL’s All-Star centre. This year he’s been chosen as the team’s Most Outstanding Offensive Lineman and Most Outstanding Canadian. He was grateful for the acknowledgement from the media, but knows he has even more to give. McEwen was quick to thank his coaches and his teammates for helping him develop as a pro. It’s easy to forget that the Calgary native has only played three seasons in the league and is still learning. What did was his biggest area of improvement in 2018? McEwen sets the bar high for young players, and this year Justin Herdman took a big step in reaching it. The second-year linebacker from the University of Manitoba was selected at the Argos Most Outstanding Special Teams Player. He’s among the league leaders with 19 special teams tackles. 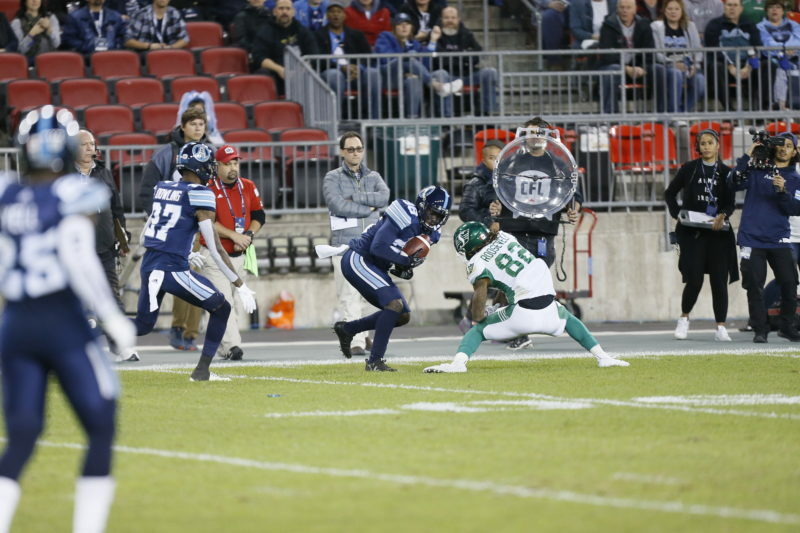 Special Teams Coordinator Kevin Eiben was thrilled for Herdman when he heard the news. The final nominee is defensive tackle Cleyon Laing, voted the Argos Most Outstanding Defensive Player. A two-time All-Star, Laing’s presence at defensive tackle is noticeable. Despite being double teamed more often than not, he leads the team with six sacks. Playing defensive tackle can be a thankless job. It’s easy for interior linemen on both sides of the ball to get lost, but Laing was still able to turn heads with his play. 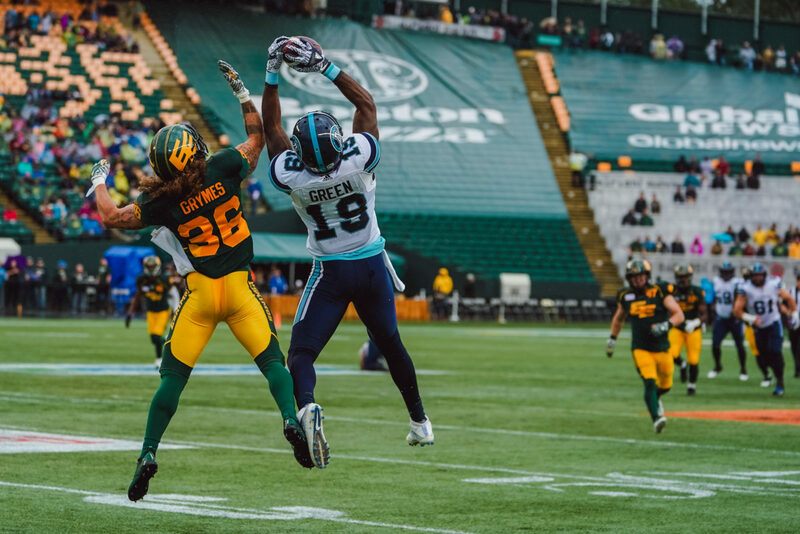 There have been 16 games in the CFL this season decided by four points or less and the Argos have been involved in half of them, posting a 4-4 record to date. 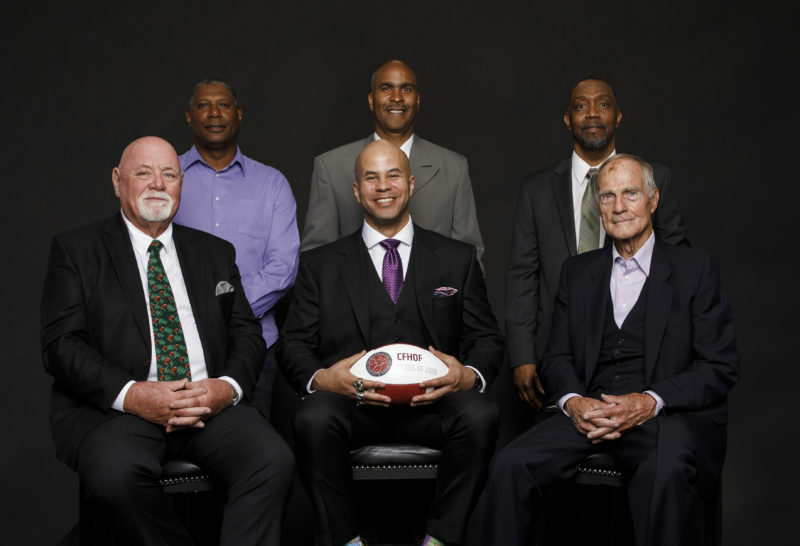 The team’s record could be better than it is, but as evidenced by the quality of athletes recognized on Wednesday, there is little doubt the team has a very good core group of players as it looks to prepare for the 2019 season.